Couches, Love Seats, Chairs and more! Along with our expert carpet care, we are proud to offer upholstery cleaning for your home (or for your business) furnishings. Many customers actually add upholstery cleaning services to their carpet cleaning quote---it's a convenient add-on service. We are ready to do a quality hand cleaning of your couches, chairs, and more. White Cleaning Services does everything we can to restore the original beauty of your upholstery, and this kind of service also helps to remove stains and odors. 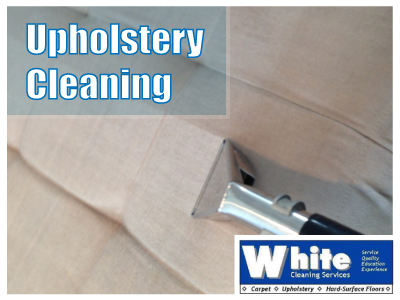 Our upholstery cleaning service works well on many different types of fabric and upholstery materials. Often times these furnishings are family heirlooms or meaningful items of some sort, so we take very gentle and special care of your property. Ask about getting Scotch Guard protection for your upholstery as well! 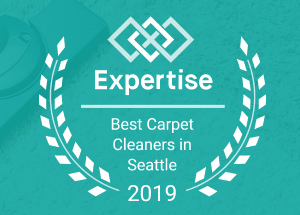 For decades, White Cleaning Services has been the upholstery cleaner Normandy Park and Greater Seattle area homeowners and business owners can trust and recommend. We are ready to provide you a clear and accurate quote today. Couple this service with carpet cleaning or tile & grout cleaning services to get a more complete cleaning solution for your home or business at an excellent value! Glenn and his staff are ready for your call---call today! 206-915-4409. Or fill out our contact form for a prompt response.